This is a beginner's installation guide for Xubuntu 18.04 LTS. This includes how to install it in UEFI computer in case you have one. You will prepare two partitions as main and swap, plus, one small partition called EFI of 200MB if your computer uses UEFI, and continue the rest of steps available. Total time needed to do this installation is around 15 minutes on a 64-bit computer. 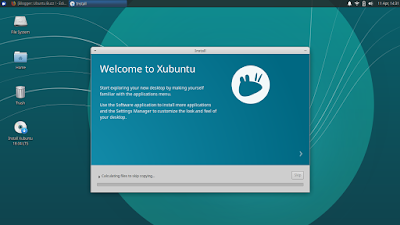 Happy installing, good luck, and enjoy Xubuntu 18.04! 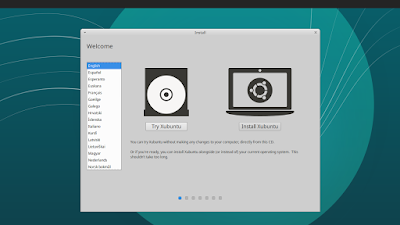 1) Download the Xubuntu ISO image here. It's still available in both 32-bit and 64-bit. 2) Create a bootable USB flash drive: write the ISO image to the flash drive. You can use GNOME Disk Utility on GNU/Linux, Disk Utility on macOS, or Rufus on Windows. 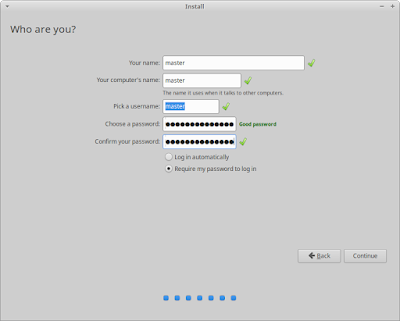 This will make your USB drive an installation media of Xubuntu. 3) Create two blank partitions: first blank one >=20GB, and second blank one 1GB. First blank will be the main partition (contains the OS), and second blank will be the swap. You can format partitions using GParted program built-in on Xubuntu LiveCD. 4) For example, here, I prepared my /dev/sdc5 20GB as main and /dev/sda7 1.5GB as swap partition. Now restart your computer and make it to boot from USB. You change the option from your BIOS (usually by pressing Del or F2 or F12 key). 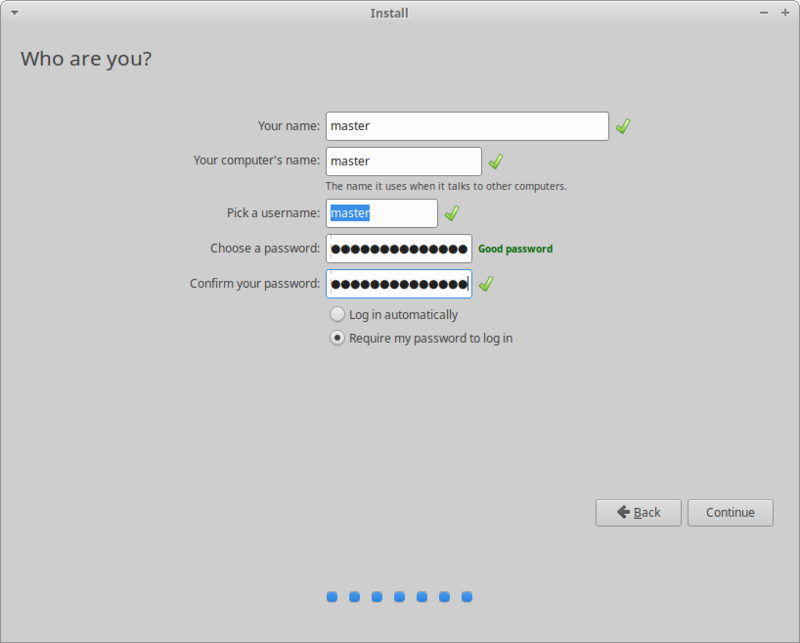 Once booted up properly, Xubuntu screen will appear with two options ("Try Xubuntu" and "Install Xubuntu") like picture below. Select Try Xubuntu instead. 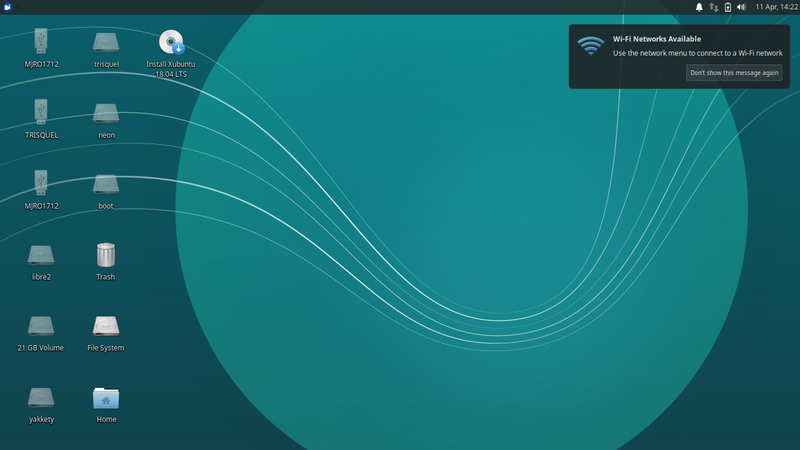 This will bring you to Xubuntu LiveCD desktop like this. 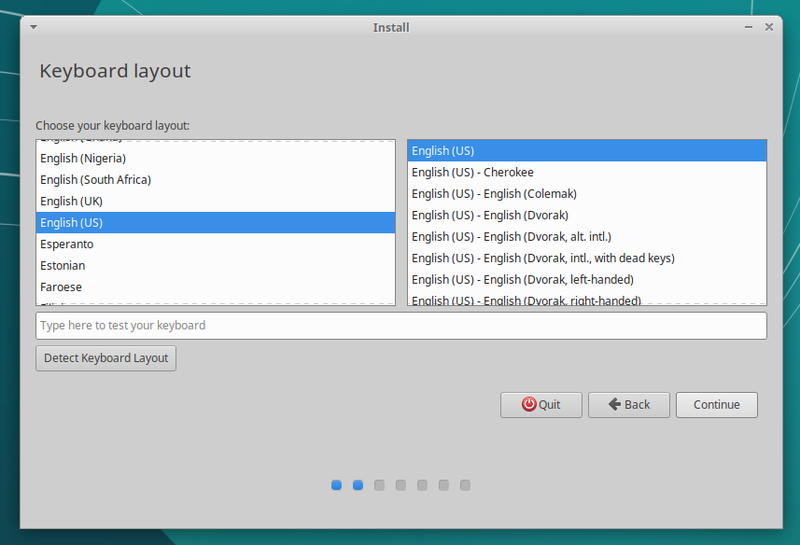 Now, double-click the Install Xubuntu icon. 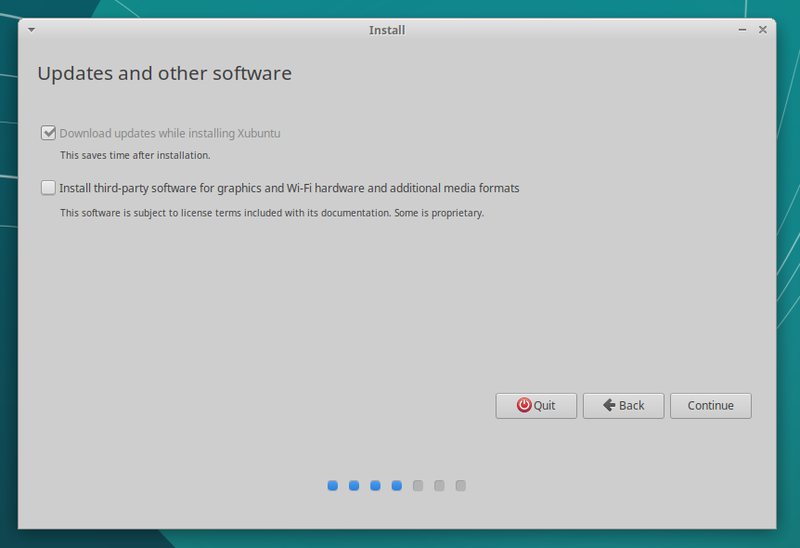 See "Install Xubuntu" icon there? English is a good choice. The rest of this article will use English as the language. Select the default option "English US". Unless, you're using non-alphabet chars like Arabic, Chinese, Japanese, Russian, etc. Do not select any network connection. Select the first option "I don't want to connect". Same as before, leave everything unchanged. This means no downloading. Don't worry, as after it's installed, you can install everything offered here by yourself. 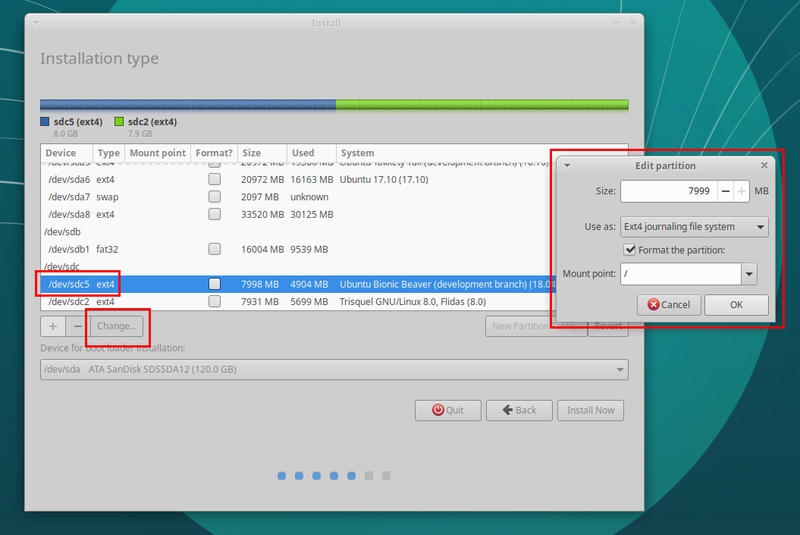 Here, by pressing continue, it asks you to "unmount" (detach) mounted partitions so please answer it "Yes". This way the installer can handle them. Select Something Else. This will give you complete partitioning tool. I suggest you not to choose other options unless your hard disk is empty. If your computer has UEFI, skip to special section below instead. 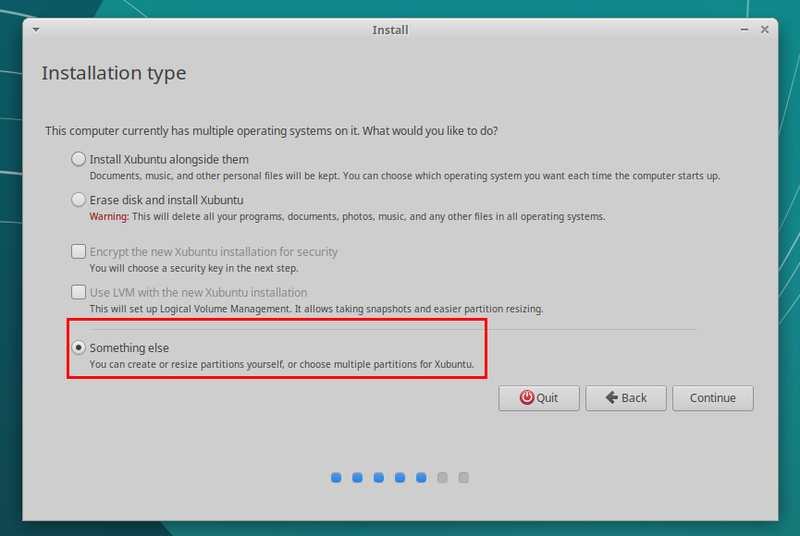 On the partitioning tool, first thing to do is making the main partition. If your computer uses UEFI, then you must create an EFI Partition, otherwise you may fail to install Ubuntu there. Here you will identify whether your machine uses UEFI or not, and what to do. Most computers now uses UEFI, especially those sold after 2010. If your computer was sold with Windows 8 or later preinstalled, big chance it's using UEFI. If your computer was sold after 2010, and is 64-bit, then big chance it's using UEFI. If you meet this error "grub-efi-amd64-signed failed installation /target/ ..." while installing Ubuntu, then that's the sign that your computer uses UEFI. 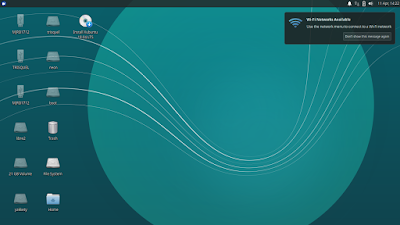 Read more information at https://help.ubuntu.com/community/UEFI. Do the same as Step 6 above, except, add it with a blank 200MB partition with Use as: EFI Partition. Make sure you have a partition named efi 200MB besides your main and swap partitions. Proceed further as Step 6 says. Repeat previous step but to the second blank partition. Here, make it Use as: swap area. 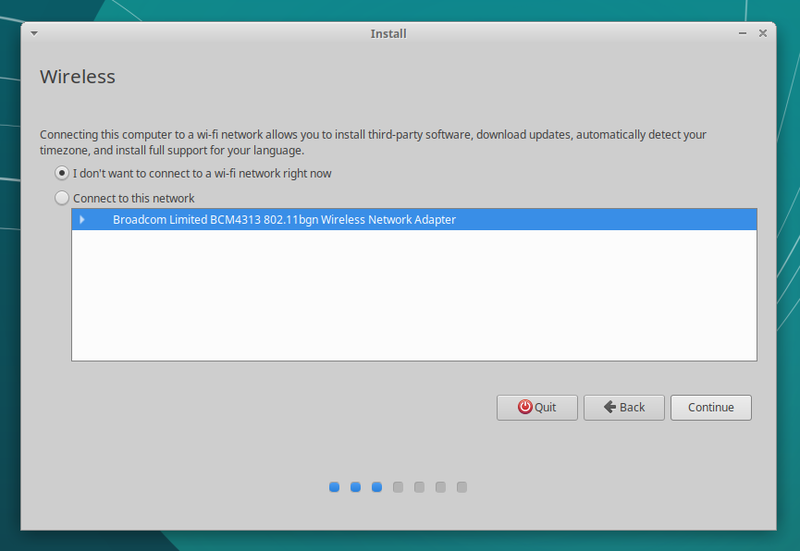 This will reformat this partition to be a swap partition. The installer will notify you with the summary: how many partitions will be formatted, what their names are, and a warning so you read carefully before proceeding. Be sure all options are OK as you cannot revert back anymore after this. 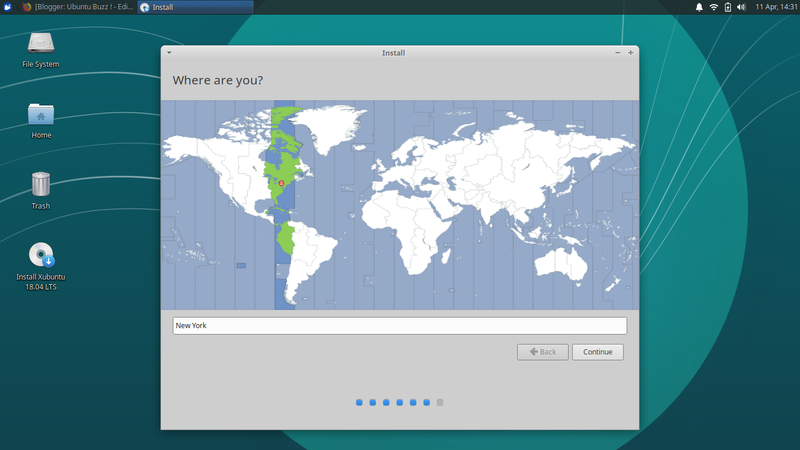 Here you will choose your geolocation and determine your own username+password. Last thing to do is waiting for the installation to take place. This should not last more than 15 minute. You may see nice slideshow of Xubuntu 18.04 informing you the documentation and help, the community & how to join it, the features you will love, and so on. 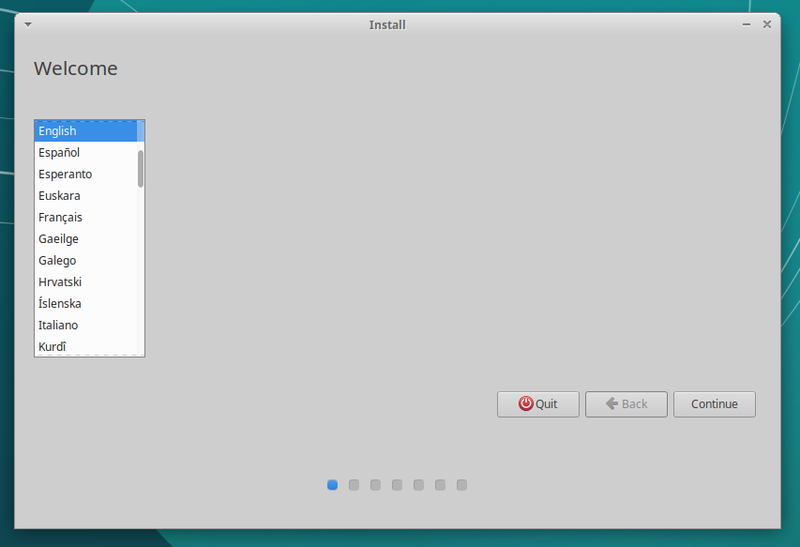 Once finished, the installer will inform you and ask you to restart. Click Restart Now, remove your USB drive, and enjoy Xubuntu 18.04! Installation has finished and it's time to reboot!